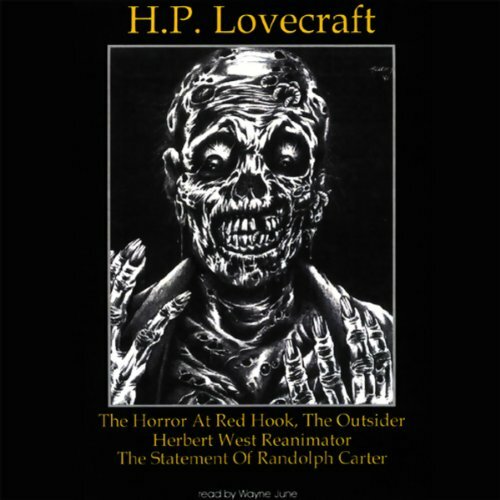 Howard Phillips Lovecraft has been hailed by literary critics as the inventor of modern horror and a cultivating force behind such modern writers as Robert Bloch (Psycho), Wes Craven (The Craft, Nightmare on Elm Street, Scream), and Stephen King (Pet Semetary, Carrie, Children of the Corn), just to name a few. Wayne June is a Storyteller. Not a narrator. Howard Phillips Lovecraft has been hailed by literary critics as the inventor of modern horror and a cultivating force behind such modern writers as Robert Bloch ( Psycho), Wes Craven ( The Craft, Nightmare on Elm Street, Scream), and Stephen King ( Pet Cemetery, Carrie, Children of the Corn), just to name a few. "The Statement of Randolf Carter"
Once again AudioRealms brings to you the most mind-provoking stories by H.P. 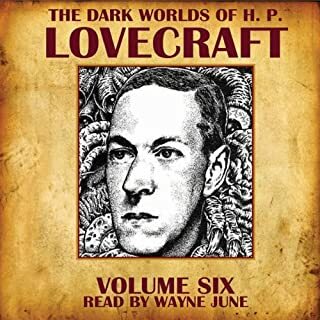 Lovecraft, read by Wayne June. What did you love best about The Dark Worlds of H.P. Lovecraft, Volume 3? 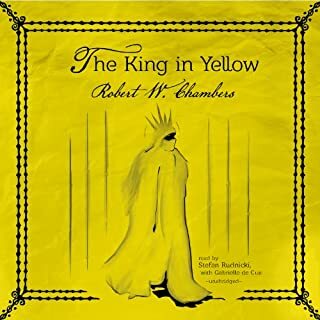 I liked hearing a collection of some of Lovecraft's best tales in one volume. Wayne June's voice is perfect for the brooding atmosphere of Lovecraft's tales. I have heard other tales ruined by the narrator. Not here though. 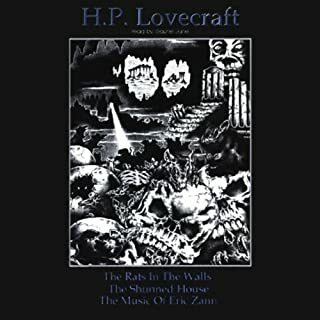 I have listened to several volumes of Lovecraft's work read by Wayne June and by others. By far, Mr. June is the best of them. I have not heard him in any other writings but would be interested to do so. This is my first venture into H.P. Lovecraft. I really like the narrator's voices, which add to the vibe set by the stories. The only issue I see people having is the choppy rhythm moments, which are few and far between. This volume is a collection of HPL's relatively weaker/more unhinged (?) works, and if not for Wayne June's stellar performance and amazing Fx I could probably not finish it. Still, if you're a completionist like I am, you should probably get it. I very much enjoyed this audiobook. Low voice was hard to understand at firsr., but I quickly got used to the gruff tone which really added a fresh level of forboding to the stories. Would you consider the audio edition of The Dark Worlds of H.P. Lovecraft, Volume 3 to be better than the print version? Don't know didn't read the print version. What other book might you compare The Dark Worlds of H.P. 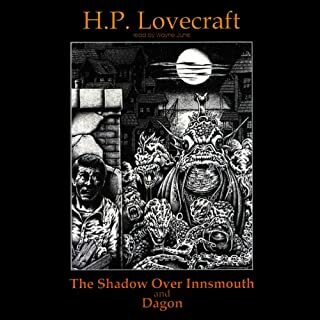 Lovecraft, Volume 3 to and why? Wanted to but was unable too. 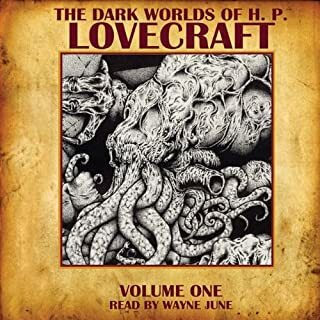 Wayne June's narration of Lovecraft is absolutely terrifying. It makes the listening experience that much better. 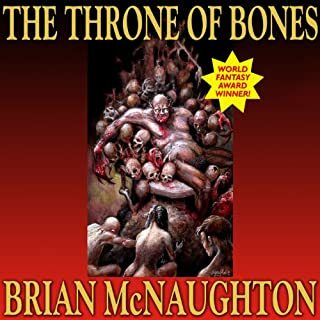 A good mix of H. P. Lovecraft's stories. What was one of the most memorable moments of The Dark Worlds of H.P. Lovecraft, Volume 3? Which character – as performed by Wayne June – was your favorite? All are read with a great , deep, voice used to, and expert at telling stories. As a sincere fan of Lovecraft, I always approach his work with a measure of regret. His works show a brilliant imagination and a captivating style, marred by a constant undertone of 19th century racist psuedo-science. While this can be set aside in many of his stories, some of his most overtly racist tales are collected here. Wayne June is wonderful with Lovecraft's work, to the point where I have to consciously give other (perfectly good) readers a chance. He is very good at conveying the sense of unease that permeates even the most innocent of Lovecraft's sentences. Wayne June has the perfect voice for these tales. I always struggled with the writing but listening to that voice made it feel so much better!